Eatery, Lola Bistro, is once again offering its popular “Feast Without the Fuss” this festive season. Available for both Thanksgiving (Nov. 26 and 27th) and Christmas (Dec. 24 and 25th), these popular to-go meals offer a delicious feast, without any cooking. Meals include oven-roasted turkey, mashed potatoes, stuffing, creamy Brussels sprouts, and more. The meals include a choice of two or three courses, with prices starting at just $20.95 per portion. Meals must be pre-ordered. 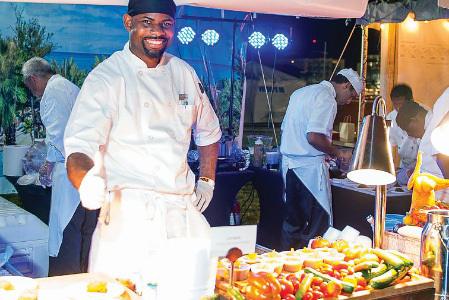 The annual Table Talk Food Awards are scheduled to return to Cayman, Thursday, Nov. 10. The glittering awards ceremony will be held at 7 p.m. at the Grand Cayman Marriott Beach Resort. 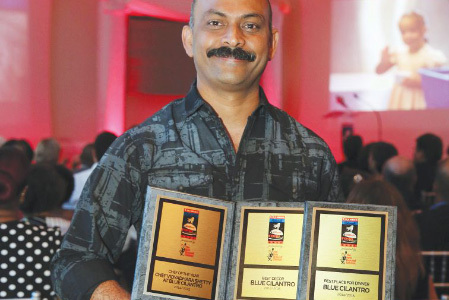 The awards, hosted by the Jamaica Observer and The Best Dressed Chicken, aim to celebrate Cayman’s talent in the food and beverage industry from more than 100 local restaurants. The awards ceremony, first held 18 years ago in Jamaica, are being hosted in Cayman for the second year running. Ticket details are to be confirmed, with part proceeds in aid of local charity, Feed Our Future. 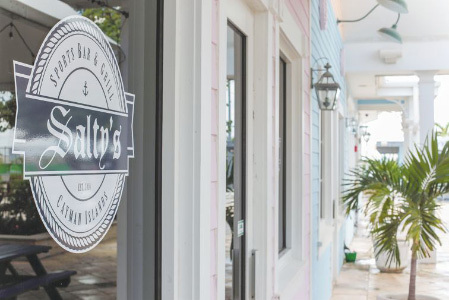 Open since mid-summer, Salty’s Sports Bar offers a standard sports bar formula with an island twist. The first two things you’ll notice when you step into the new addition to The Shoppes at Grand Harbour is the island themed décor, and the 19 TV screens that are placed around the bar, displaying a multitude of everyone’s favorite sports. Enjoy a wide variety of beers on draught, including Guinness, Stella, Caybrew, and White Tip; or try one of their signature brick oven pizzas. Head over there for Happy Hour from 4-7 p.m. 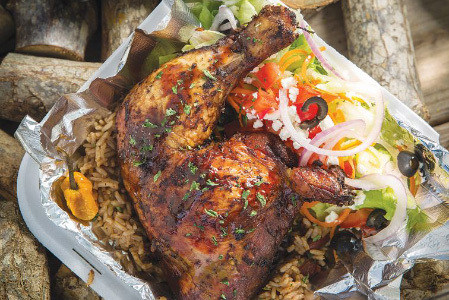 Adding to the selection of quality mobile food trucks that have popped up over the island in recent years is Gabriel’s Grill, which offers a wide variety of local style on-the-go menu items. The food truck provides a new take on the farm-to-table movement – appropriately named farm-to-street – and they have recently announced a partnership with Grace Foods, made apparent by their illustrious new truck design. Offering both breakfast, lunch, and dinner, Gabriel’s Grill is a great way to tantalize your taste buds with delicious local food straight from the farm. You can find their food truck at 273 Dorcy Drive. 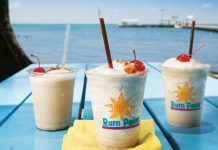 Dates are now confirmed for two of Cayman’s most popular annual food festivals; Cayman Cookout and Taste of Cayman Food & Wine Festival. 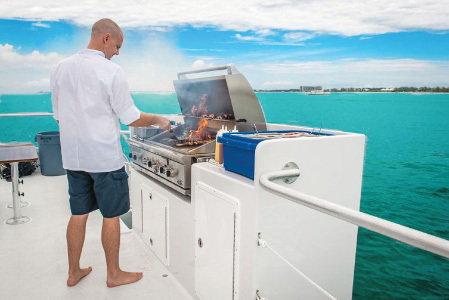 The three-day Cayman Cookout is set to take place Jan. 12-15 at The Ritz-Carlton, Grand Cayman; while the one-day Taste of Cayman will be held on Saturday, Jan. 28 at Festival Green, Camana Bay. 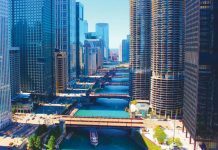 Both events offer a smorgasbord of delicious culinary events that are bound to please food and drink lovers. 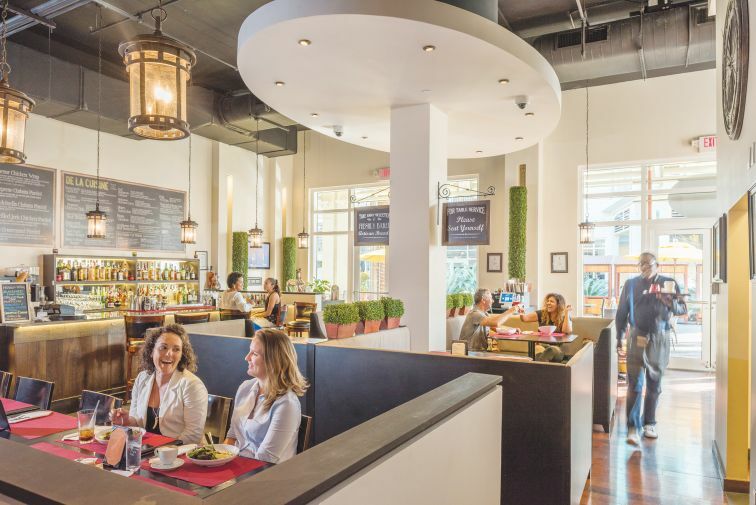 Located on the oceanfront in George Town, Le Vele, a new restaurant and pizzeria, is now open. Featuring a spacious terrace with astonishing views, Le Vele boasts a full pizza menu with gourmet options, alongside traditional Italian favorites. Local seafood dishes combined with homemade pastas and local seasonal produce are chef Adriano Usini’s specialties. Open six days a week, except Sundays. Patrons of Grand Harbour can now gather at their favorite outdoor bar. The former location of the Oarhouse has reopened as Mike’s Bar, named for the late developer Mike Bell. 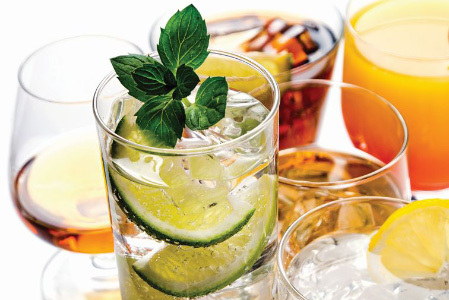 The open air bar provides a fun and festive area for drinks, and customers have access to the full Salty’s menu. Open nightly.